Founded in 2002, Beisen Talent Mangement is the number one talent management brand in China and a creator of a SaaS talent management software. The company has a 70% market share of the Chinese talent evaluation market. Beisen started developing talent management software in 2010. By today, the company has become an undisputed leader in talent evaluation and recruitment management software with 600 employees and over 4,000 customers, including medium and large enterprises like Vanke and Country Garden. For its recruitment management software, Beisen has chosen internationally renowned Daxtra Technologies as its technology partner to provide curriculum vitae (CV) parsing technology solutions that will elevate its products to new heights. Beisen and Daxtra share the same goals and passion in their commitment towards the talent business. We interviewed Mr. Ji Weiguo, CEO of Beisen, earlier who shared his insights on China’s talent management software market, future trends and the company’s partnership with Daxtra. 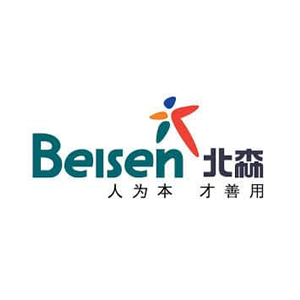 Q: Beisen is a top talent management brand in China and a pioneer developer of talent management software in the country. What was your vision when you founded Beisen? Ji Weiguo: Beisen started out with talent evaluation. However, that only resolves one aspect of the problem for companies. In order to integrate talent evaluation into companies’ business processes, we started venturing into the talent management software business in 2010. We hope that by providing an integrated talent management platform, we can help Chinese companies find top level talent. Since then, we have grown to become a flagship company in domestic talent management software, employing over 600 people. Currently, our software solutions encompass the following modules: evaluation, recruitment, performance analysis, remuneration assessment, contract renewal and CoreHR. Q: Which of these modules is the collaboration between Beisen and Daxtra based on? Ji Weiguo: Beisen’s recruitment management systems assist companies in their recruitment operations. One core component of the recruitment exercise is the collection of CVs from different channels. We need to parse these CVs into formats that can be stored on the database. Daxtra’s technology is used in our recruitment management systems to parse CVs written in different languages. Q: Why did Beisen decide to use Daxtra’s technology? Ji Weiguo: Daxtra’s solution is capable of parsing in 26 different languages, including Chinese, English, French and Spanish. This is one of the reasons why we have decided to use their products. In addition, from a global perspective, Daxtra’s CV parsing solution is the best among similar service providers, particularly in their ability to parse Chinese CVs and in terms of software compatibility. That is why we decided to work with them. Q: In your opinion, what is the market potential of Daxtra’s CV parsing products in the future? Ji Weiguo: Daxtra’s CV parsing technology will have a bigger market share. Regardless of whether companies decide to develop their own recruitment systems or use solutions such as Beisen, they won’t be developing CV parsing technology, due to the cost, effort and resources involved. As competition becomes more intense, companies will invest more resources in creating their own talent pools. With CVs coming through different channels and in different formats, the demand for CV parsing technology will be increasing. Currently, CV parsing technology is at a stage of rapid growth. For Daxtra, this represents great market opportunities. Q: In your opinion, in which areas does Daxtra’s CV parsing technology surpasses similar products in the market? Ji Weiguo: The accuracy of Daxtra’s CV parsing technology is a result of the extensive ongoing effort and the knowledge base they possess. In terms of semantic parsing, searching and data classification, a massive knowledge base ensures greater accuracy. Daxtra is not merely a developer, the company’s products ensure continuous accumulation and optimization of CV content and format samples for its library so that the process becomes more mature and precise. Q: What are your expectations for Beisen in the next few years? Ji Weiguo: Beisen has positioned itself as an integrated cloud talent management service platform provider. The integration means that we have to be involved in every aspect of human resource management. Customers can perform additional development based on Beisen’s products. They can develop processes and modules that are suitable for their operations based on our products. Currently, Beisen is already the biggest HR SaaS company and we hope to continue to lead the industry forward in the future. Q: What is the relationship between Beisen and its customer and what is the company’s business model? Ji Weiguo: First of all, we hope to satisfy our customers’ operational needs at different human resource levels through different modules provided by Beisen’s integrated talent management platform. Secondly, Beisen’s customers pay an annual fee. So essentially, it is a subscription-based service. Beisen is not merely selling a product. Our fundamental value lies in helping customers achieve business success. If we discover that our products cannot help a customer resolve their issues, we will not participate in a tender exercise. This is what distinguishes Beisen from other installation software providers. Q: You mentioned that competition for talent recruitment in China is immense. What are your views on current talent recruitment practices in China? Ji Weiguo: China’s has been seeing rapid speeds of economic development and growth in the number of companies created, so talent requirement is constantly on the rise. At the same time, 2015 will be a turning point for China’s human resource market, marked by a reduction in the amount of labor entering the market. From the beginning of 2015, the cost of labor in China has increased by at least 15%. At the same time, the frequency of people changing their jobs is a lot higher in China than, for example, in the US. These two factors will assert immense pressure on the recruitment efforts of Chinese companies. Q: In your opinion, what new trends are developing in human resource management in China? Ji Weiguo: The shortage of talent is a widespread problem that is faced by Chinese companies. Therefore, a very important task in terms of human resource management is to ensure internal and external talent supply. Beisen is committed to providing technological innovations to help companies resolve their talent shortage issues. First of all, increased pressure on recruitment will drive companies to start building their own talent pools. However, it is not easy to manage a database containing hundreds of thousands of CVs. By analyzing and filtering CVs from applicants, we create a recommendation standard. After which, we utilize big data technology to perform intelligent mining of the entire CV database to select CVs that fulfill the requirements. This is a unique innovation amongst all the recruitment systems that are available in the world. Secondly, Beisen has developed an internal referral system based on WeChat Moments. Social media platforms, such as Twitter and LinkedIn are not available in China and the internal referral aspect of Chinese companies is relatively weak. However, China has its very own WeChat Moments. Recently, we integrated WeChat Moments into our recruitment software to help customers create a complete internal referral system. Based on Beisen’s best practices, a successful internal referral system can account for 40%-48% of new hires. Such high ratio can help customers resolve their recruitment issues significantly. Thirdly, Beisen has always been committed to the development of evaluation tools for talent potential. Companies often need talent for more than short cycle contracts, so there is a need for long-term training and succession planning for their staff. We hope that companies can use Beisen’s evaluation system at the start of the training process to uncover the potential of different employees. Beisen has nearly 10 years’ experience in talent-potential identification technology and will be introducing additional new innovations later this year. We hope to lead and change the industry through these innovative technologies. Q: What are your expectations for the partnership between Beisen and Daxtra in the future? Ji Weiguo: I hope that Daxtra can continue to optimize its CV parsing technology. Beisen is willing to work with them to optimize the algorithm and develop our partnership further. Of course, in addition to our existing collaboration on the CV parsing front, we also hope to strengthen our partnership in technologies such as candidate search and retrieval. That way, Beisen can focus on providing management systems for customers while working with professional companies on base-level technologies. This will be beneficial for both parties.